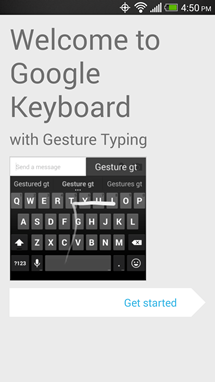 An updated version of Google Keyboard has made its way into the Play Store, taking most of the previously Nexus 5-exclusive features and expanding them out to other devices. 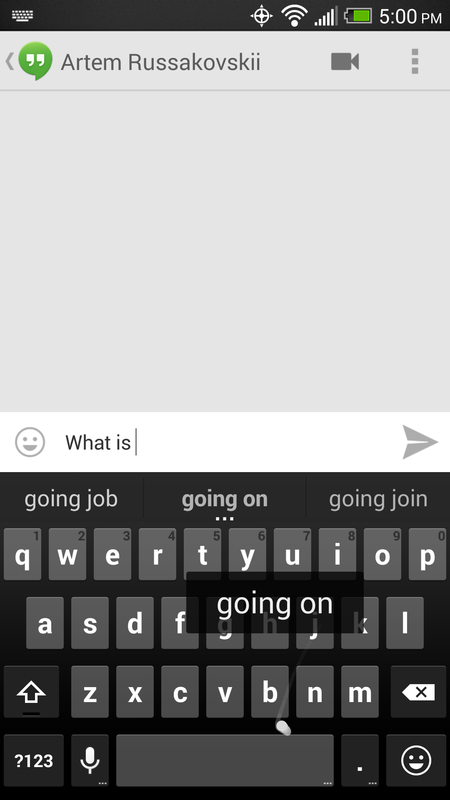 We've covered the improvements in-depth before (and provided an APK), but in short, the swiping trail is now white, emoji are built-in, and users can swipe multiple words without having to lift up their finger. 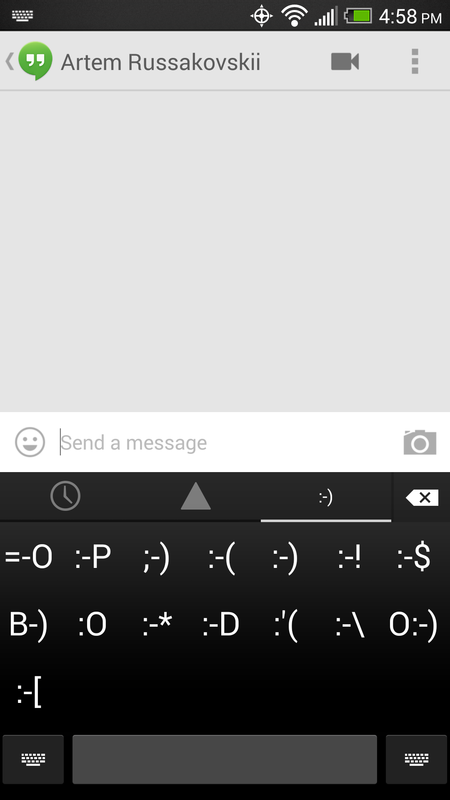 Unfortunately, some features still require KitKat, such as full-color emoji. 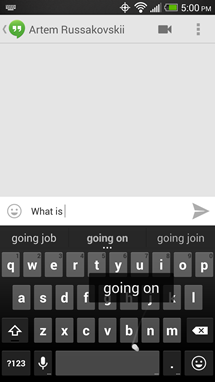 Anyone running a prior version of Android will see an incomplete, black and white set instead. 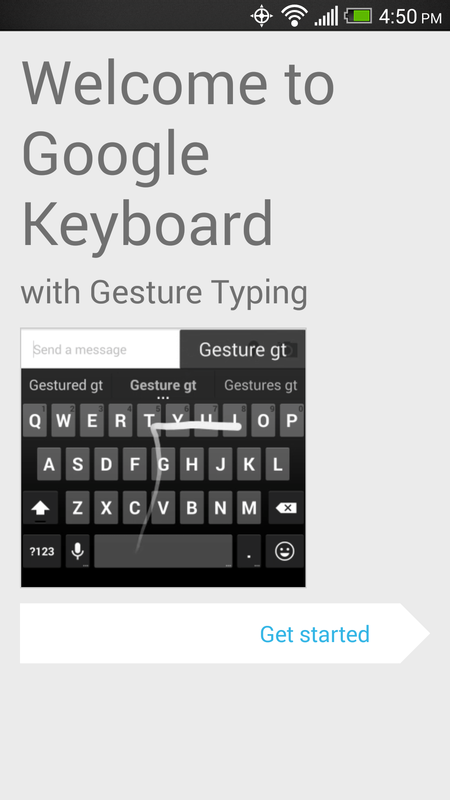 The new black and white look arguably helps Google's keyboard better integrate with Android interfaces that are decidedly less Holo, such as HTC Sense (above) and TouchWiz. This type of change won't matter to everyone, but there is bound to be something else on the changelog that appeals to users looking to make the upgrade. 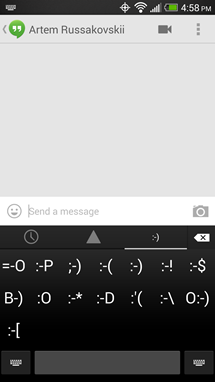 The new version is 2.0.18933.905102a, which isn't that far off from what's on the Nexus 5 (2.0.19003.893803a). 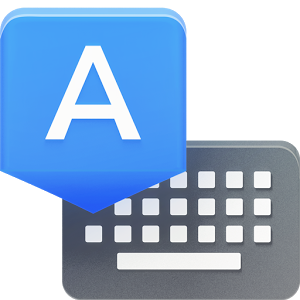 As is par for the course with Google apps, the keyboard is rolling out in stages. If it hasn't yet landed on your device, give it time.